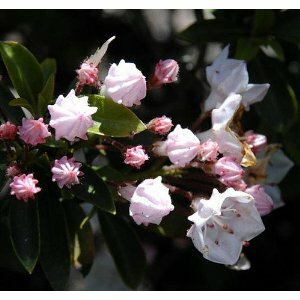 Very hardy, zones 5-9 Prefers shade or part-shade 3' tall, space 3' apart Clusters of pale-pink buds develop in late spring, gradually enlarging and opening to almost pure white flowers The starter plant you will receive is growing in a 2x3" pot. They can grow well in a sunny or shady location. They keep their leaves all year which makes an excellent backdrop in a winter garden.